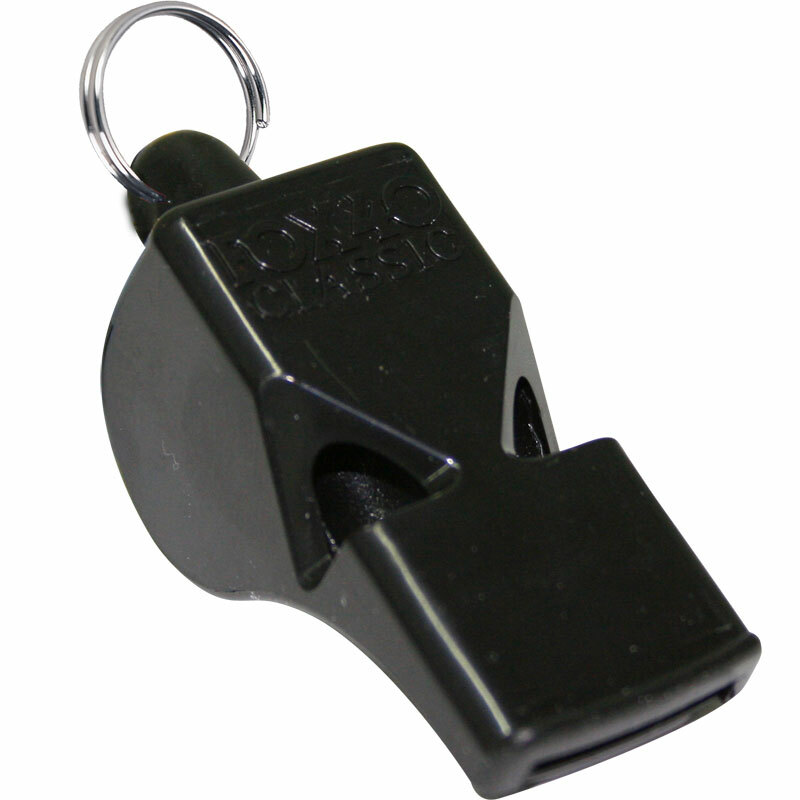 The Fox 40 Official Referee Whistle - for referees and coaches at every level who want every call to be heard and depend on its reliability. Can be heard above crowds and players anbient noise, breaking waves and engine roars. Small, black plastic, patented 3-chamber design. Pea-less with high pitch trill. Grandson was made up with this thanks ?? Good product. Nice and loud. Good delivery time aswell. good whistle, easy to express severity of situation with, without it being difficult to blow unlike others that are more expensive.